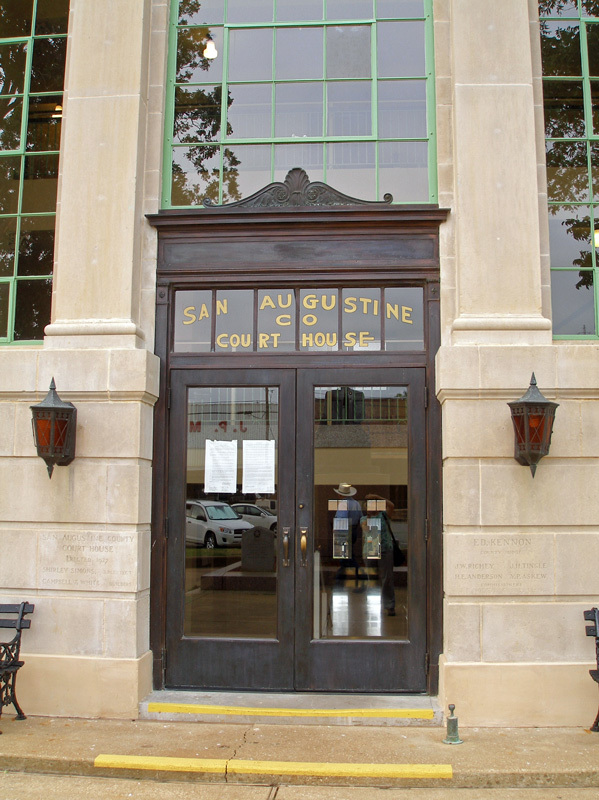 In the East Texas town of San Augustine, the historic county courthouse stands as a center of politics and government for the people of San Augustine County and an important part of the city's 20th-century architectural heritage. 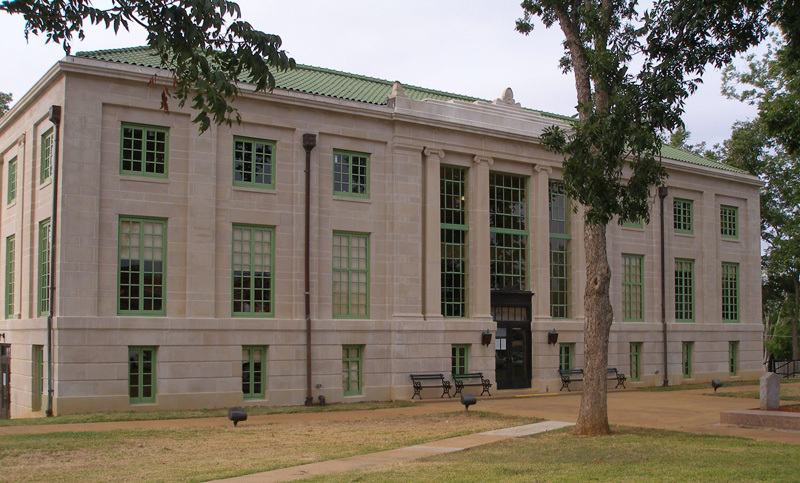 Designed by Lufkin architect Shirley Simons, the 1927 courthouse’s Classical Revival style shows the beginnings of a transition from the ornamental buildings at the turn of the century to a sleek, stripped-down style that became popular during the Great Depression years. The patinated bronze entry is surrounded by flat limestone pilasters (nonstructural architectural elements that suggest supporting columns) and flanked by a matching pair of lanterns. The concrete frame is finished in a limestone veneer with wood sash and steel frame windows, and topped by a unique green glazed ceramic tile roof. 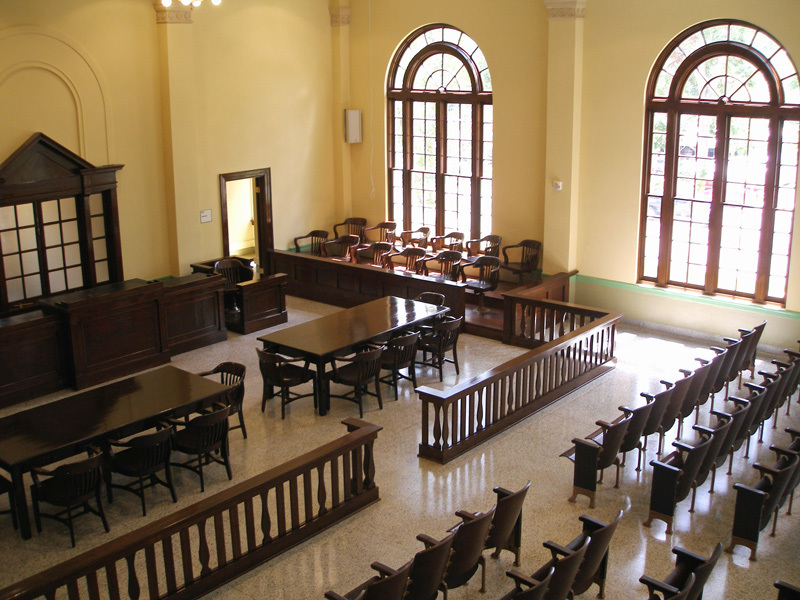 Inside, visitors find one of the largest courtrooms in East Texas, featuring two-story, Palladian-style windows and the original judge’s bench and spectator seating. 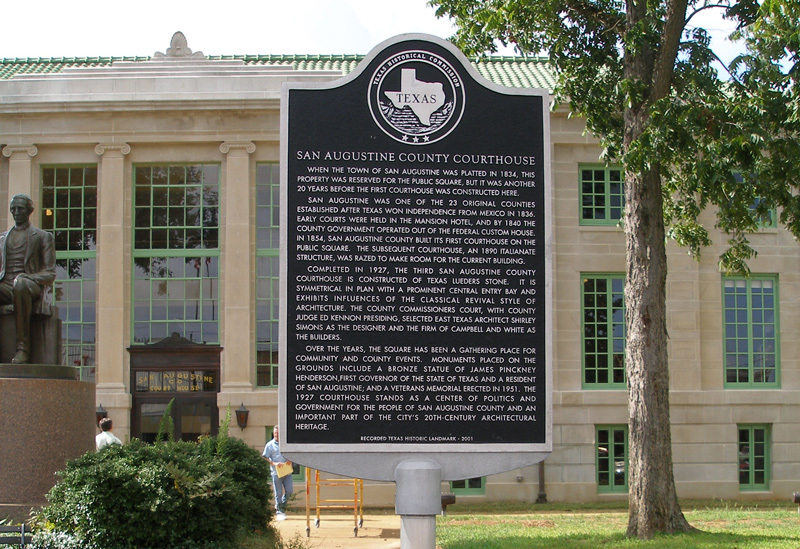 Through the Texas Historical Commission’s (THC) Texas Historic Courthouse Preservation Program (THCPP), San Augustine County received a planning grant in 2004 and a construction grant in 2008 to restore their courthouse, totaling almost $3.8 million in state grant funding. The San Augustine Garden Club also played a large role in making this project a reality. Through fundraising and grant applications, they raised the entire county match—more than $650,000—as well as money for additional conservation studies. The scope of the project included restoring the original green tile roof and replacing the aluminum windows with wood casement windows, which were painted the historic green color to match the roof. All mechanical, electrical, plumbing, and fire-protection systems were replaced to meet modern standards. The building's exterior masonry was cleaned and patched, and the interior walls and trim were painted with historic paint colors. 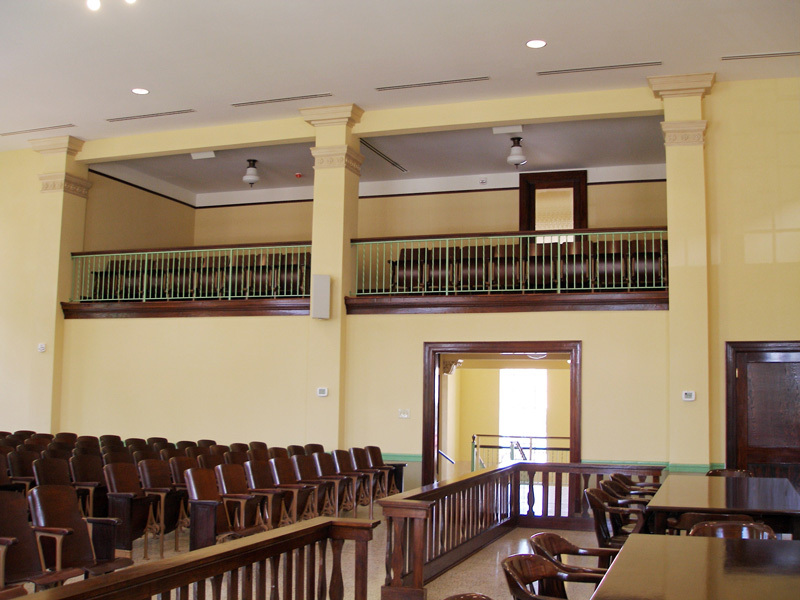 The courtrooms underwent reconstruction to restore the original look, and improvements were made to enhance the functionality of these spaces. 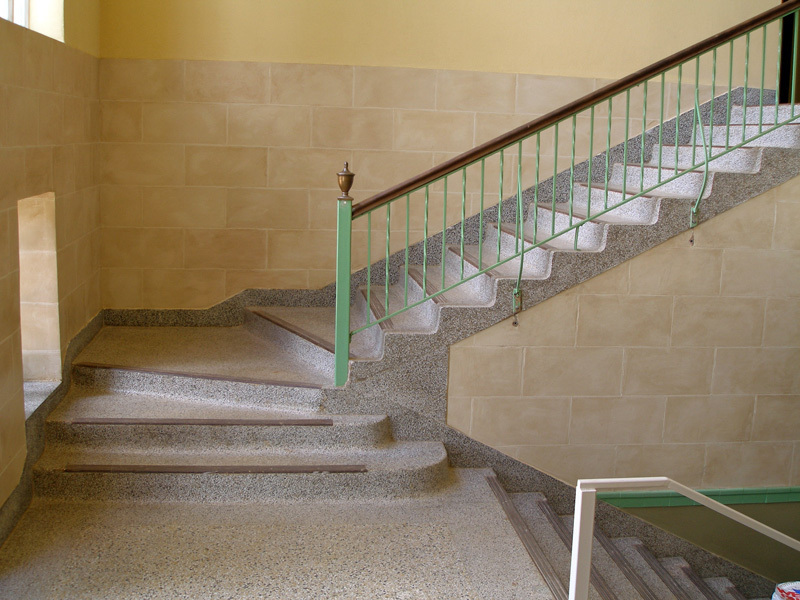 The building also became fully accessible for the first time. 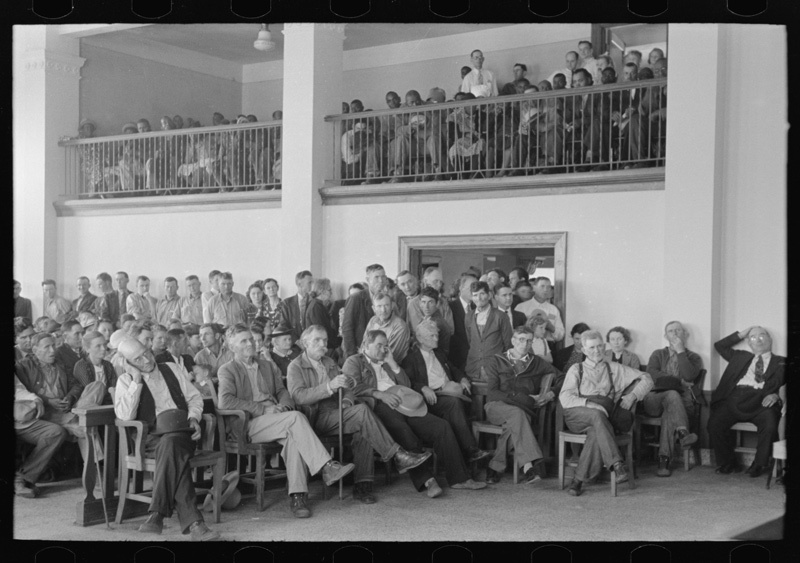 Thanks to photographer Russell Lee and a federally-funded Farm Security Administration project, the restoration effort benefitted from an abundant number of historical photographs. 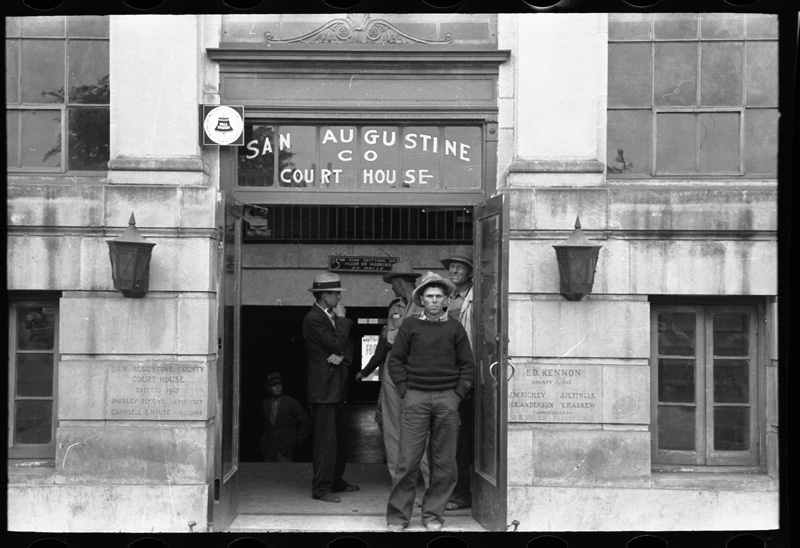 In 1939, Lee documented small town life during the Depression years in San Augustine, including events at the county courthouse. To view an archive of these photos, visit the Library of Congress collections online. This month, the THC awarded San Augustine County an Honor Award through its Texas Courthouse Stewardship Program for establishing excellent stewardship practices in maintaining its restored historic courthouse. Through matching grants, the THCPP helps restore and preserve Texas’ historic county courthouses to their original splendor and make them safe, functional, and a source of pride for Texas communities. To learn more about the benefits of restoring historic courthouses, download a free copy of the THC’s Courthouse Cornerstones (PDF) or visit the THCPP online. Historical marker in front of San Augustine County Courthouse.